GRAND RAPIDS, Mich. JULY 31, 2015 – ArtPrize, the radically open international art competition decided by public vote and expert jury, together with Porterhouse Presents, today announces that The Avett Brothers will make a stop in West Michigan this fall during ArtPrize Seven, as a part of their nationwide tour. The Grammy-nominated folk-rock band will take center stage alongside singer-songwriter Brett Dennen and his band on Saturday, October 3, at an impressive, one-of-a-kind riverfront Tent Venue experience in downtown Grand Rapids—known as The Eddy. The Avett Brothers will kick-off the 11-day festival, an event-within-an-event to take place in the midst of the seventh annual ArtPrize event. A truly collaborative project, The Eddy will be a whirlpool of local art, concerts, delectable food, Michigan craft beer, cider, and wine, and family-friendly creative art experiences. It will serve as a fantastic place to celebrate the local arts community, driving ArtPrize goers to explore one of downtown Grand Rapids’ largest green spaces. The Avett Brothers’ unique sound will be an inspiring backdrop to the multi-faceted festival concept of The Eddy and add texture to the beautiful art scape created at ArtPrize Seven. Full details around The Eddy Tent Venue will be shared in a future release. ArtPrize Seven will take place in Grand Rapids, Michigan, from September 23–October 11, 2015. 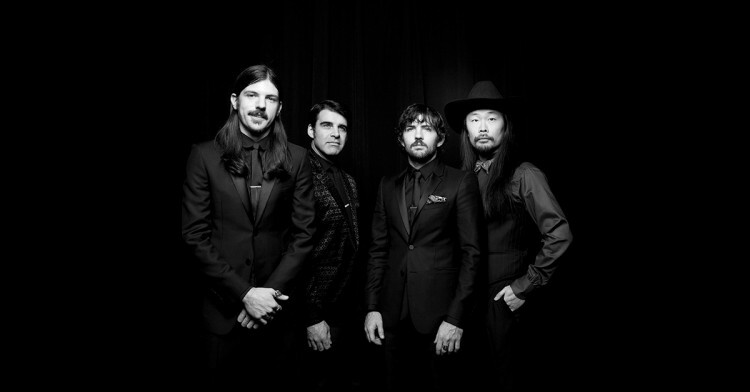 **UPDATE: Get your tickets to The Avett Brothers' October 3 concert here.